New shop tour for our Blairsville location coming soon!! 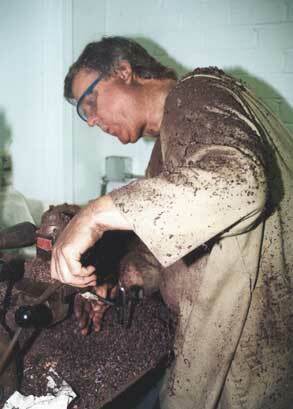 Paul, circa 2000, before he was struck with MS ---- hard at work creating a new batch of oboe bells. If you look closely, you might think he's whistling while he works, but what he is actually doing is blowing the dust away as it accumulates on the bell.